Who’s ready to kickoff summer this Memorial Day with a delicious recipe? Nothing says American summer more to me than a cookout with some classic tastes. This year I’m taking a campfire favorite, s’mores, and putting it together with delicious and creamy Peter Pan® Peanut Butter. This is the perfect mess free dessert to serve up for large family gatherings. Yum! chocolate and peanut butter, salty and sweet, this dessert has everything. Even better? You can bulk make it ahead of time to enjoy, then toast up on the spot once the sun starts to set. 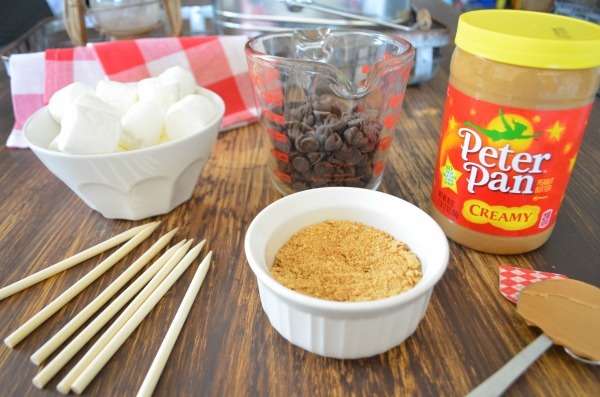 All you need is 4 simple ingredients (chocolate chips, Peter Pan Peanut Butter, graham cracker, and marshmallows), some bamboo skewers, and a lighter or torch for toasting. 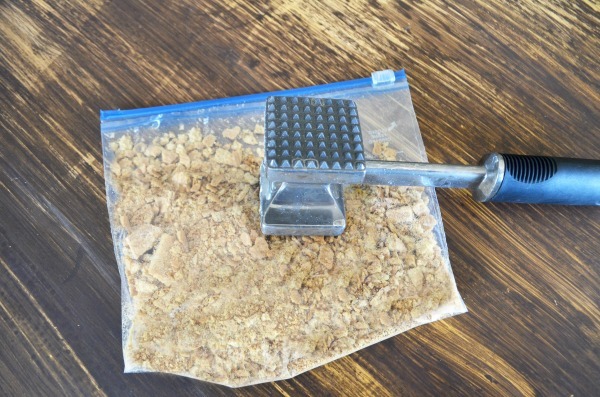 Place graham crackers in a resealable bag. Process or smash the crackers into a fine powder, set aside in a small shallow bowl. 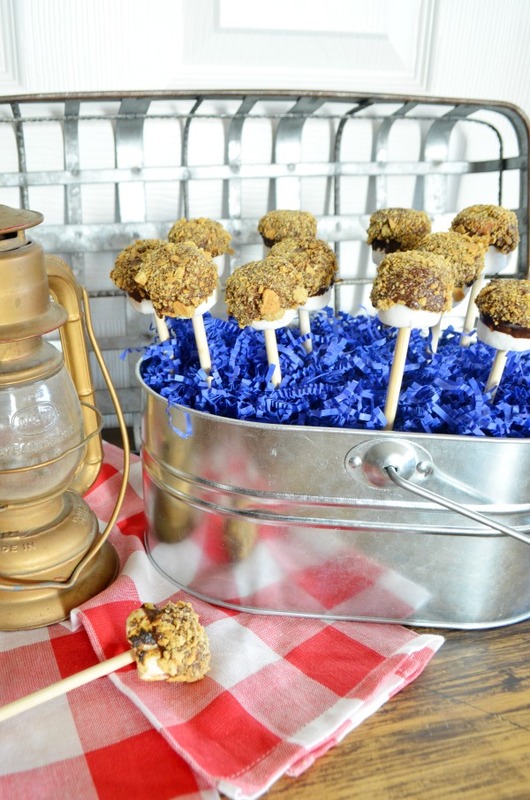 Poke a bamboo skewer or candy apple stick into the middle of each marshmallow. Place on a parchment or silicone lined baking sheet. In a tall microwaveable measuring cup add chocolate chips and peanut butter. Heat at 30 second intervals on medium until fully melted. The consistency should be thin and smooth. 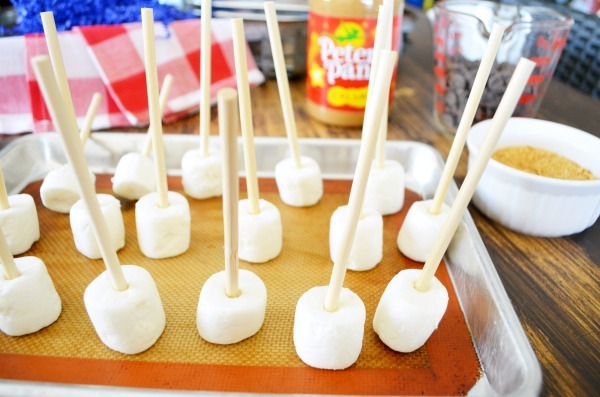 Dip each skewered marshmallow into the chocolate, wipe off the excess onto the side of the measuring cup. 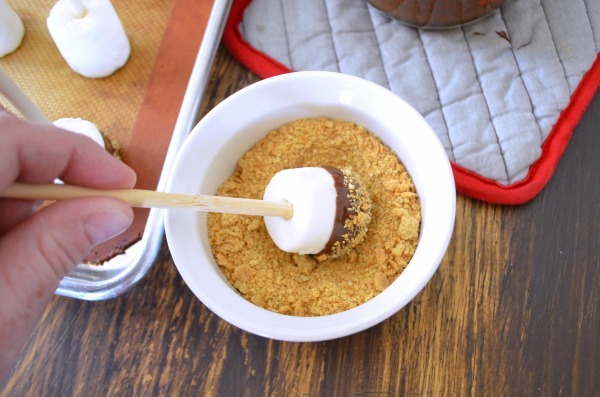 Dip immediately into the crushed graham crackers. Place back on baking sheet to cool. 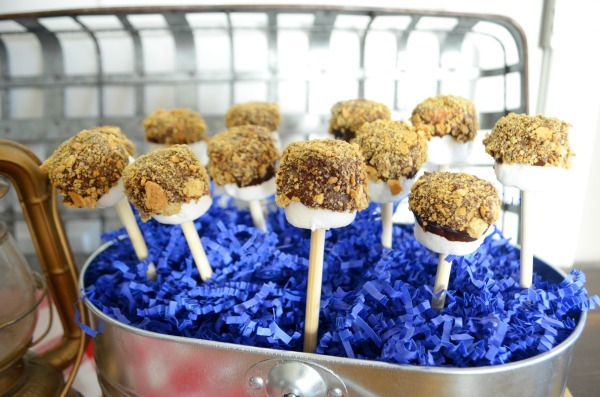 Cool s’more pops in the refrigerator until firm and ready to serve. When you are ready to enjoy have an adult toast the top of each marshmallow. 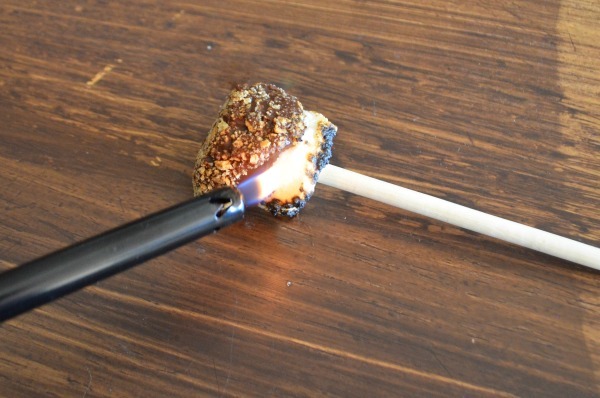 This will give it that toasted flavor and begin to melt the chocolate. 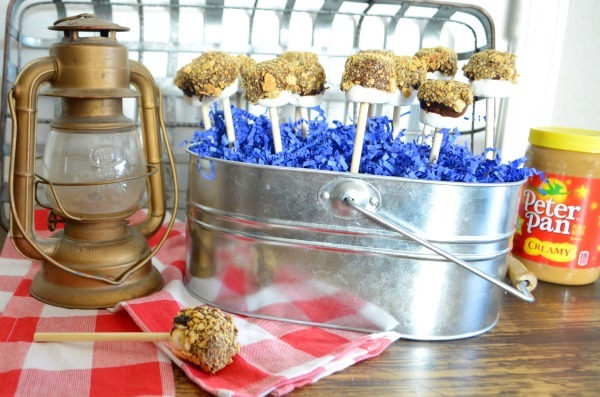 This summer time dessert is easy to create and the perfect crowd pleasing treat for your backyard get togethers. Peter Pan Peanut Butter is a household staple made with simple and wholesome ingredients. It’s packed with protein in a variety of offerings from creamy to a dash of honey, and even Simply Ground™ with a bit of crunch. 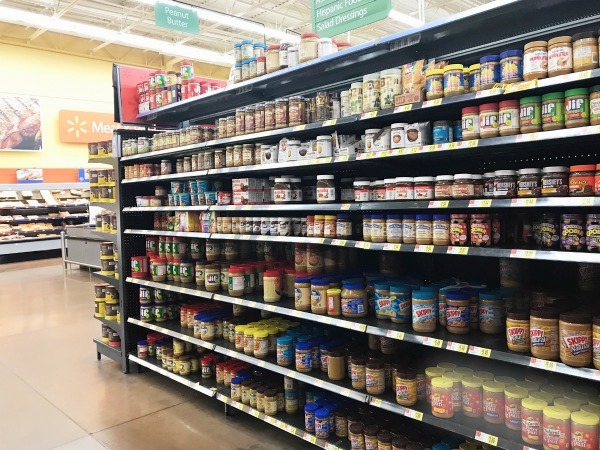 Pick up your favorite variety at Walmart on the peanut butter and condiment aisle. 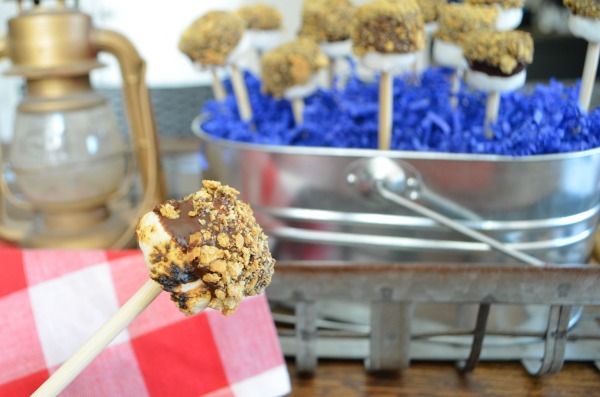 Cool s'more pops in the refrigerator until firm and ready to serve. When you are ready to enjoy have an adult toast the top of your marshmallow. 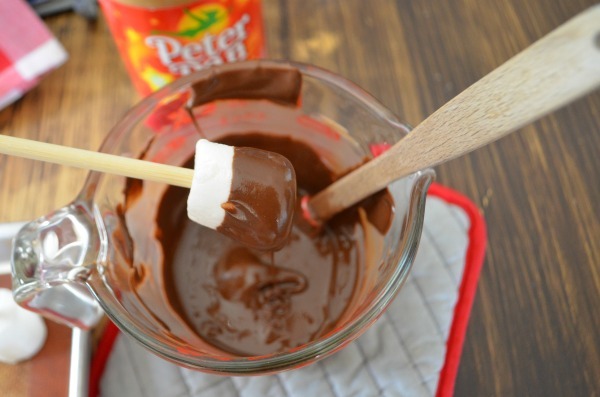 This will give it that toasted flavor and begin to melt the chocolate. For more delicious summer recipes checkout these other ideas for the ultimate summer cookout!